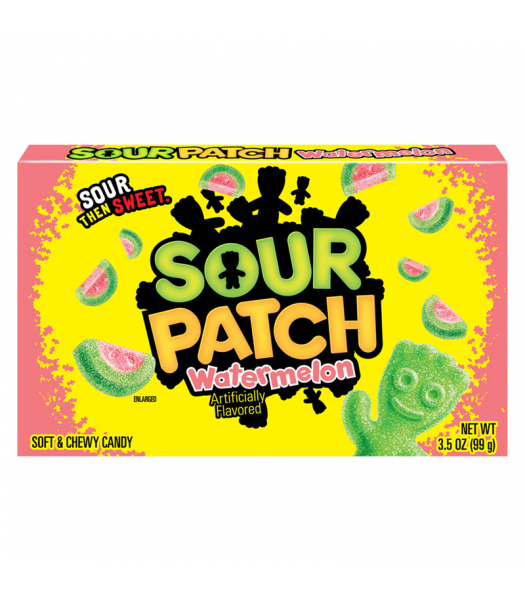 Give your tongue a real tangy-tingling sensation with this 3.5oz theatre box of Sour Patch Kids! These delightfully fruity gummies are coated in a sour sugar that will fizz on your tongue and make your mouth-pucker, before giving way to a soft and sweet chew beneath. 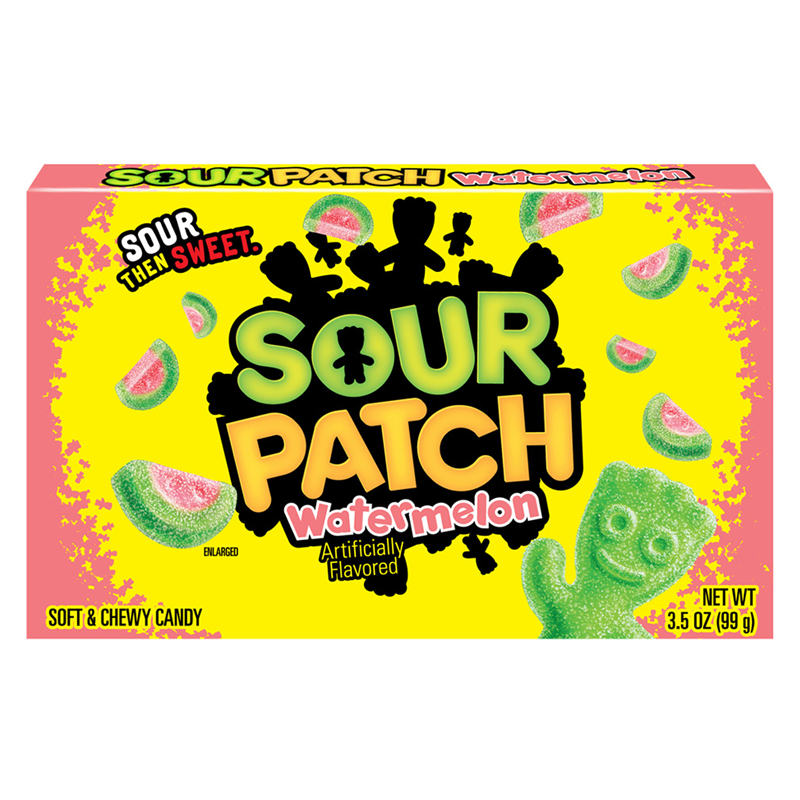 Each one of these delicious candies is bursting with the sweet and refreshing flavour of Watermelon, and they look like slices of Watermelon too! Simply mouth-watering!